Media captionClaire Perry asks John Bercow to “consider his behaviour” after accusations of sexist behaviour towards her. 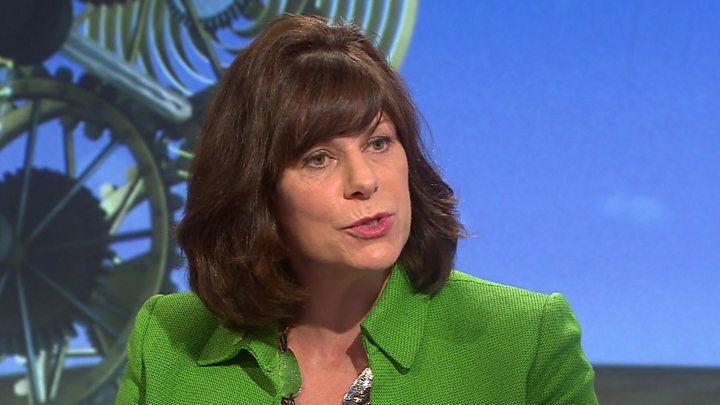 Conservative minister Claire Perry has accused John Bercow of making “sexist” comments about her after he told her to avoid “dilation” in the Commons. She said he had used “demeaning language” while chiding her for taking too long to answer questions. Comments “about me being dilated” had caused “surprise and dismay” among MPs from all sides, she said. A spokeswoman for Mr Bercow said he often used the word in the context of trying to speed up Commons business. The word dilated is commonly associated with childbirth, being the moment when a pregnant woman’s cervix opens up sufficiently to allow labour to take place. But dilated can also be used to refer to someone “speaking or writing at length” on a subject. The Speaker’s conduct has come under scrutiny in recent months amid claims – that he has denied – that he has acted aggressively to members of his staff. Ms Perry has now written to Mr Bercow to ask him to “consider his behaviour” in light of comments he made during Tuesday’s Department of Business Questions. Urging her to give “shorter answers” to questions from backbenchers, he said the Commons had a “lot to get through” and that “dilation is not in order today”. In response, Mr Bercow said “what is required is a brief answer and a brief question – no dilation”. In her letter, Ms Perry said she had become accustomed to the “occasional irascible outburst” from the Speaker which, while “never enjoyable”, she accepted could be considered part of the “rough and tumble of government”. But she said she took exception to the “tone and language” used to “admonish me for giving over-long answers that seemed both overly aggressive and particularly sexist”. The minister added. “Your comments about me being dilated have especially caused comment. She claimed a “pattern of behaviour” was emerging which suggested Mr Bercow had a “woman problem” and found it “increasingly hard to interact respectfully with female MPs on the government benches”. A spokeswoman for the Speaker’s Office said Mr Bercow meant nothing derogatory in the remark. “During question time yesterday, the Speaker was trying to move business along ahead of the much-anticipated debate on the EU (Withdrawal) Bill. In his own reply to Ms Perry, the Speaker said he did not agree with her assertions but suggested they meet for a cup of tea to “clear the air”. 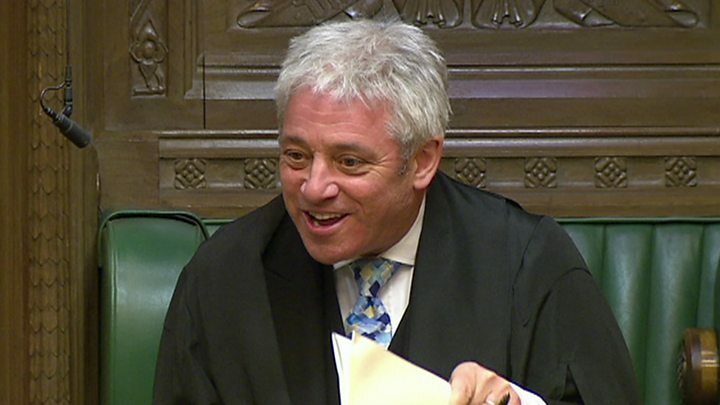 Mr Bercow, who has been Speaker since 2009, has incurred the wrath of some ministers over the years by telling them to be more concise in the Commons, once cutting off David Cameron half way through an answer and telling him “take it from me he has finished”. The Speaker came under fire last month amid unconfirmed claims that he had called Commons leader Andrea Leadsom a “stupid woman” in the chamber. He admitted using the word stupid as a “muttered aside” but only in the context of the government’s handling of parliamentary business and insisted that he had every respect for Mrs Leadsom and all his colleagues.